I was craving for Mexican food and decided to head out to Cha Cha Cha in Holland Village. Thanks to the new Circle Line, Holland Village restaurants are now a breeze to get to. Cha Cha Cha is pretty much a no frills restaurant. There is no air conditioning, but service is very fast and efficient. Tables are spacious and comfortable so no complaints there. The prices are also very reasonable and portions are generous. 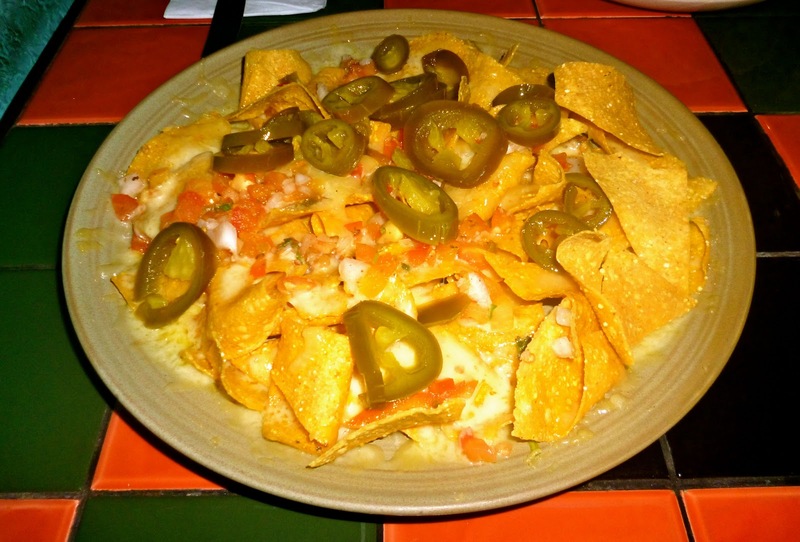 For starters, my husband and I had Nachos (SGD 13.50). 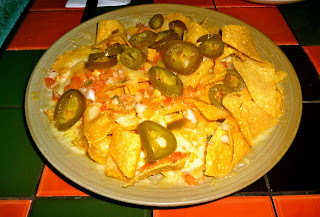 Their nachos were pretty good with hefty toppings of cheese and other goodies. Do share as this was definitely too much for 2 people. 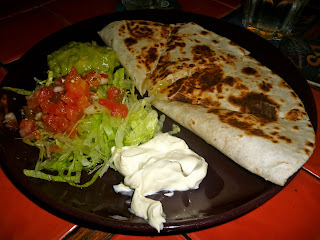 We also had the Chicken Quesadilla (SGD 13.50). This was served with guacamole, sour cream, and salsa on the side. I really liked this as well and thought the toasted tortilla had a nice crunch. 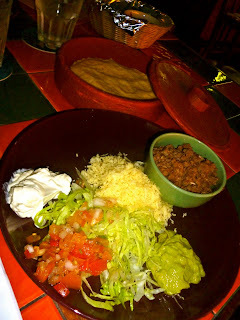 Last of our Mexican feast was the Soft Taco (SGD 13.50). This was alright, though I thought the beef could have used a little bit more flavor. Perhaps it was just a little too plain for my taste. Cha Cha Cha serves pretty decent Mexican food. If you share (and not over-order as my husband and I did! ), it comes out to be pretty affordable too. I think I'll try out the burrito or chimichanga over the soft taco next time. I think the restaurant bar information written here is quite informative and secondly I like the quality of the content.